TREASURY collected a total of $50 million in January 2019 alone through the two percent electronic transfer tax from the transacting public, a senior Government official has said. Accountant-General, Mr Daniel Muchemwa, applauded Government for coming up with the two percent electronic transfer tax, which he said was mainly being channelled towards Public Sector Investment Programme (PSIP) projects. Mr Muchemwa was addressing a workshop on the National Chart of Accounts focusing on Consolidated Revenue Analysis System for National Budgeting purposes and Accounting for National Expenditure in Gweru yesterday. “I am glad to say that this January we managed to collect $50 million from two percent tax. We will spend that money on PSIP projects and not on salaries. I would like to applaud Government for such efforts, which have seen the raising of the money which will be channelled towards funding PSIP projects,” he said. Government, through the Ministry of Finance and Economic Development, last year introduced the two percent levy per dollar transacted electronically. It was later revised to apply on transfers above $10 and below $500 000 following an outcry from the transacting public. 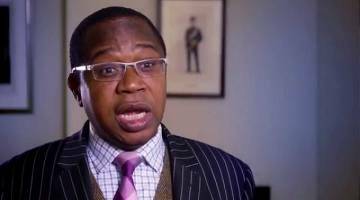 Finance Minister Professor Mthuli Ncube has said the new tax regime will greatly assist Government in widening domestic resource mobilisation to oil economic development. President Mnangagwa has also backed the new tax regime insisting it was a worthwhile pain that locals have to bear as Government takes measures to remedy the prevailing economic crisis. Chronicle.